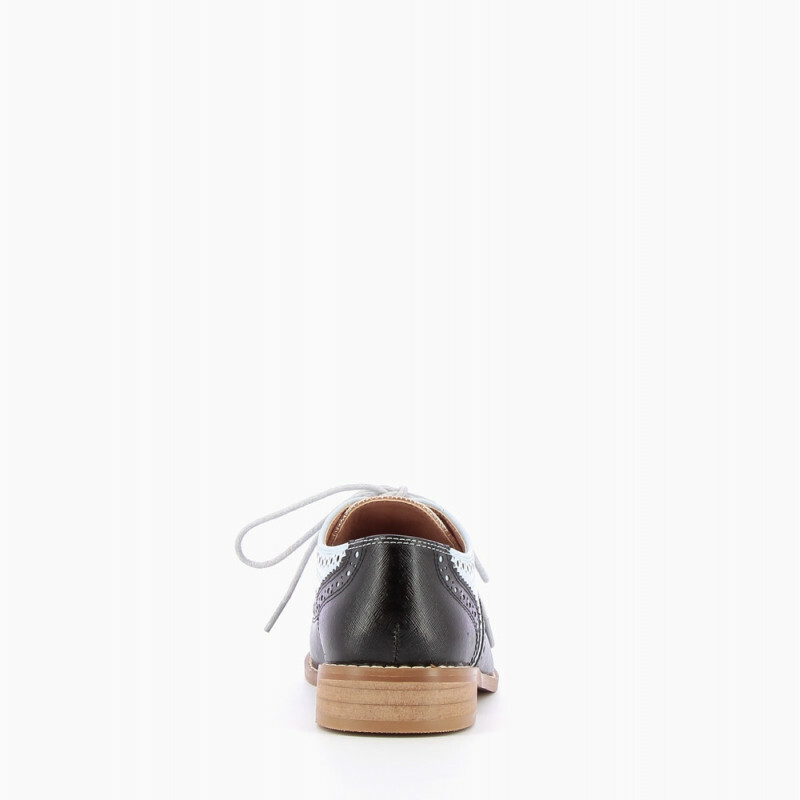 The perforated toe and serrated edges bring a romantic touch to these boyish shoes. 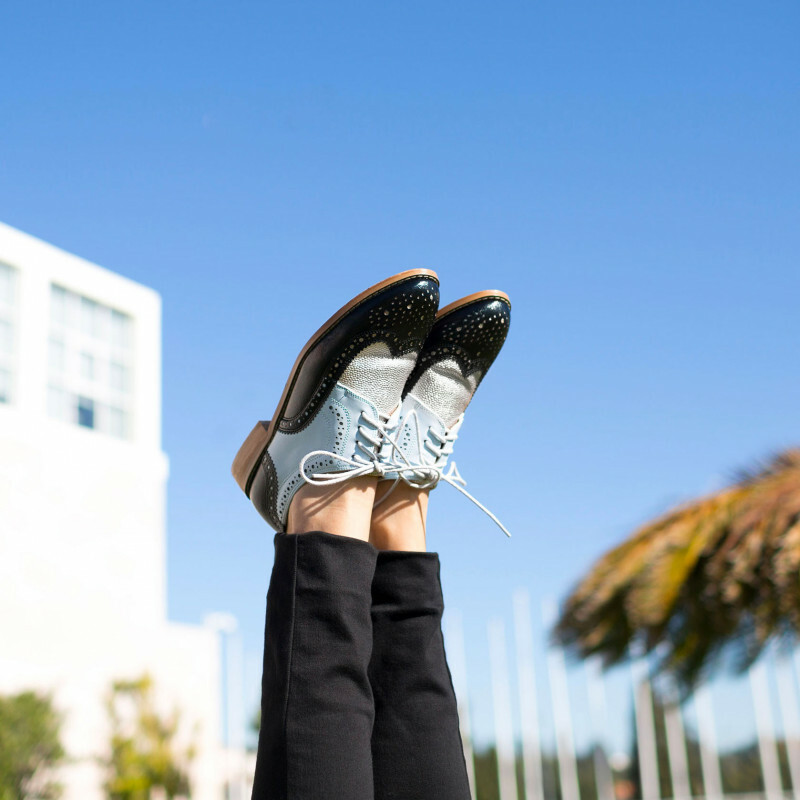 You could go all out with the androgynous look by teaming them with a shirt tucked into boyfriend jeans! 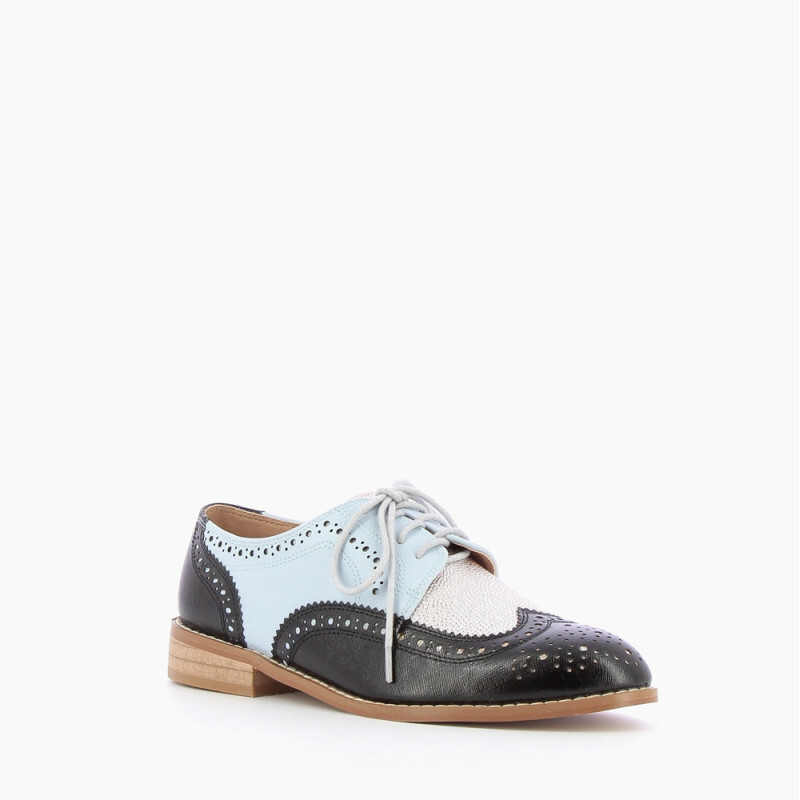 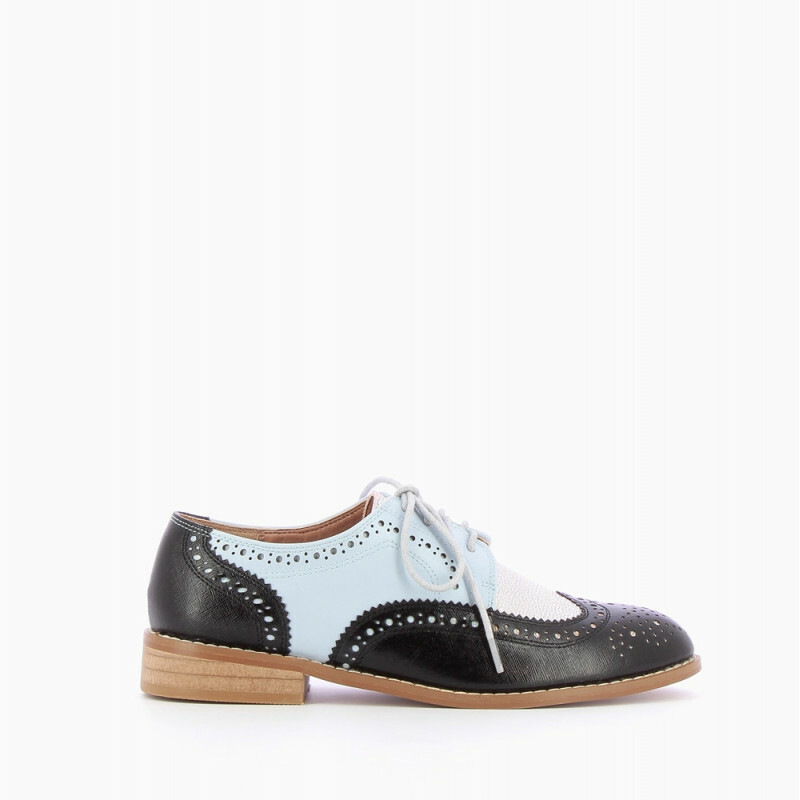 Black brogues with perforated details and serrated edges. Silver front and sky blue eyelet sections. Almond-shaped toe with decorative perforated details, laces.